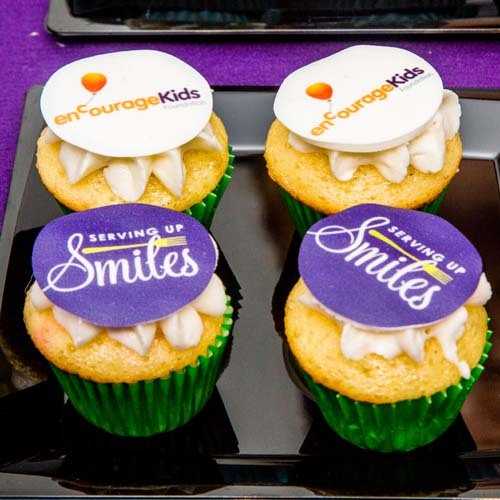 Over 230 people were filled with good food and good will at enCourage Kids Foundation’s third annual Serving Up Smiles event on October 23rd at CURRENT at Chelsea Piers. 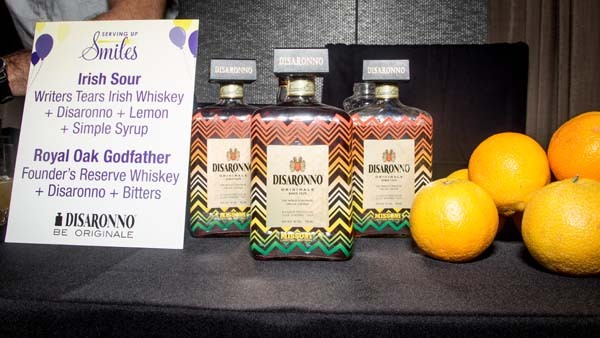 Hosted by Robert Galinsky, this year’s tasting event raised nearly $180,000 for the organization’s programs, all benefitting enCourage Kids and families. 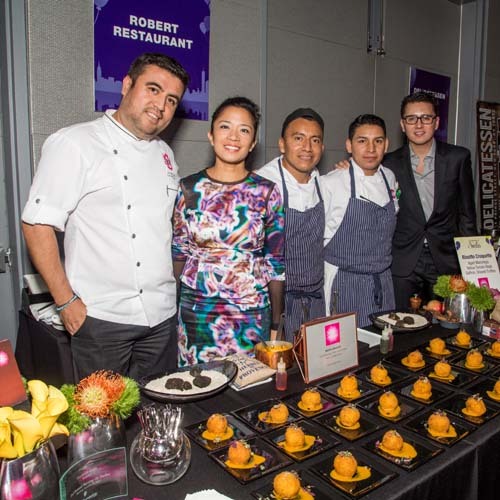 To date, the Serving Up Smiles event has raised an impressive $620,000. 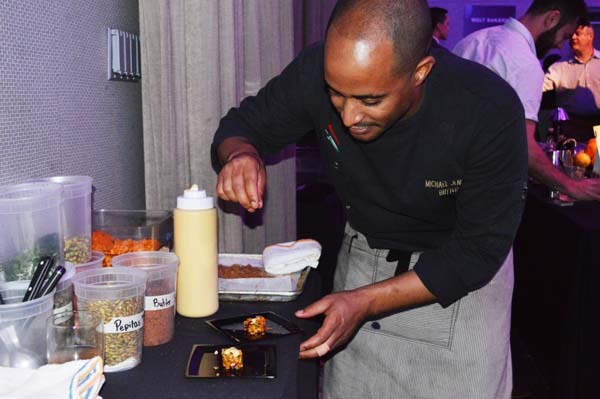 While renowned restaurants such as Tao Group, Butter, Megu, Mastro’s Steakhouse and Benjamin Steakhouse Prime served up delicious bites, beverage companies such as Uproot Wines, Justin Vineyards and Winery and Disaronno poured the perfect pairing. There was a special moment at the event when one of the enCourage Kids Foundation parents, Jenny Crutchlow, spoke and broke down in tears thanking the organization from the bottom of her heart for all that their programs provide. Diane Rode, director of Child Life and Creative Arts Therapy Department at the Kravis Children’s Hospital at Mount Sinai, also spoke at the event sharing more about the therapies funded by enCourage Kids Foundation for children and their families in the hospital’s care. Throughout the night, Live Wire Entertainment filled the room with incredible music, providing the perfect background for guests as they wined and dined. Lucky winners left Serving Up Smiles with impressive auction items including a Veuve Cliquot Champagne Tasting in home for 12, Yankees Legends tickets, 1st Row Knicks tickets, Dinner for 4 at Rao’s, Private Wine Tasting in Napa Valley with air and accommodations, among many others. The elite list of restaurant and beverage sponsors included: Butter, Benjamin Steakhouse Prime, Coarse, Delicatessen, Fairway, Chef David Waltuck, Mastro’s Steakhouse, Megu, Robert, Tao Group, Arcade Bakery, Bryant Park Grill, Insomnia Cookies, Melt Bakery, Roni-Sue’s Chocolates, Disaronno, Fiji Water, Justin Vineyards & Winery, Landmark Vineyards, Mizu Shochu, MJM World Imports, SIMPLE VODKA, Soltado Spicy Añejo Tequila and Uproot Wines. 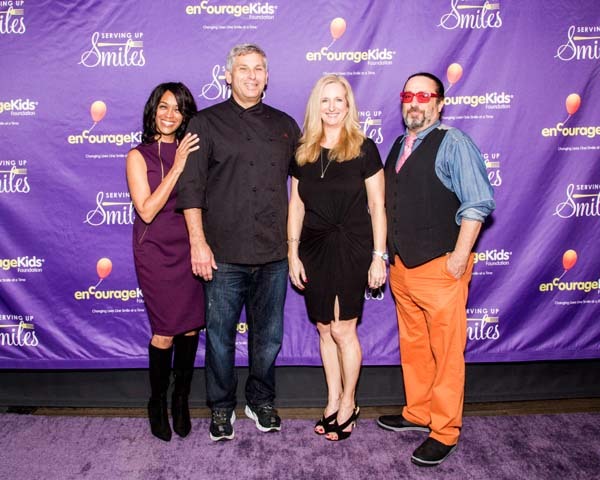 All proceeds raised by Serving Up Smiles go directly to fund enCourage Kids Foundation’s cost-free family outings and uplifting hospital programs. The organization’s programs benefit more than 275,000 children suffering from chronic and life-threatening medical conditions, as well as their families, each year. To learn more about enCourage Kids Foundation and their programs, please visit encourage-kids.org.